Branding is important if you want to succeed in the industry over the long-term. One of the first steps towards creating a brand is to develop a corporate identity. Most companies take advantage of expert services when it comes to building their logo, conceptualizing their slogans, and designing their promotional paraphernalia. So if you’re an expert in helping companies develop their brand, you should send prospects a proposal for corporate identity today. Discovery – the analysis of company’s business mode, goals, and competitive advantage. Conception – this step involves creating visual designs that best illustrates the client’s selling point. Development – putting the concept into paper. The initial sketches are competed at this stage. Proposal – presentation of the concept logo, sketches, and web design to the client. Redesign or refinements – after receiving client input, the initial drafts are refined to perfection. Finalization – this is the pre-press conversion process before printing. Distribution – this may or may not be part of the package you offer. It may be a good idea to recommend a reliable agency if you don’t offer this service. Depending on the stage of the client’s business and their industry, certain parts of the corporate identity kit should be given more emphasis than others. For example, if they are running a restaurant business, then designing flyers is more important than a catalogue. 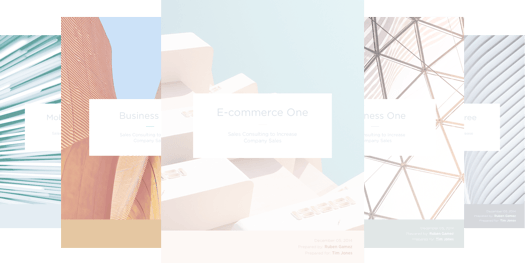 On the other hand, a B2B business which gets the bulk of their sales on trade shows would require catalogues that provide a comprehensive view of their operations. So on the proposal for corporate identity, don’t mention services that aren’t relevant to the client business. You can just send them an online brochure listing all the services you offer as an attachment. That way, they can get in touch with you in case they are interested in a particular line of service you offer without compromising the integrity of your proposal. A lot of project discussions reach a sore point when it comes to negotiating a fair rate. There are cases when a client feels like he’s being ripped off while the contractor feels that he is being taken advantage of. To eliminate possible problems, make sure to state the cost of your service in the proposal for corporate identity. The client might try to negotiate for 10-20% less your stated rate. It’s up to you to decide whether to accept it.